They say, there’s only one thing worse than no internet – bad internet. We’ve all been there. (Im)patiently waiting for webpages to load, looking at the the buffering wheel and thinking – Is there a way out, to enjoy faster speed in India? Let’s look at the results from the speed and data tests done on a Nexus 6. Three major browsers were put to test – Opera Mini, Chrome and UC Browser. Caches and histories of each browser were cleared before each test. 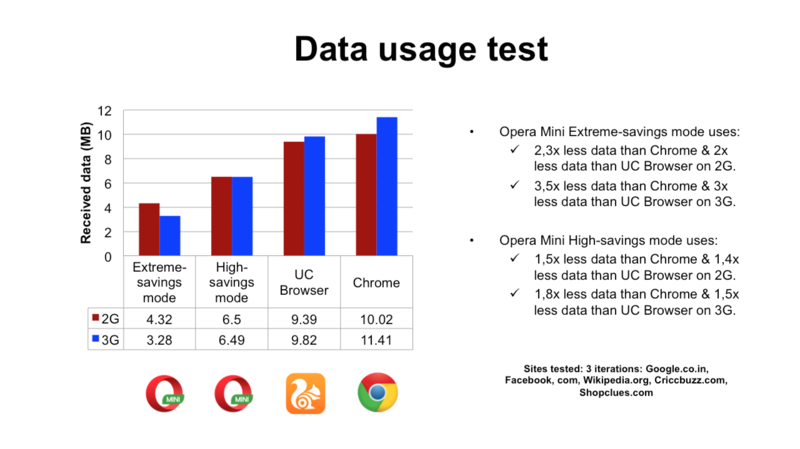 The tests show how much faster Opera Mini is compared to UC Browser and Chrome. 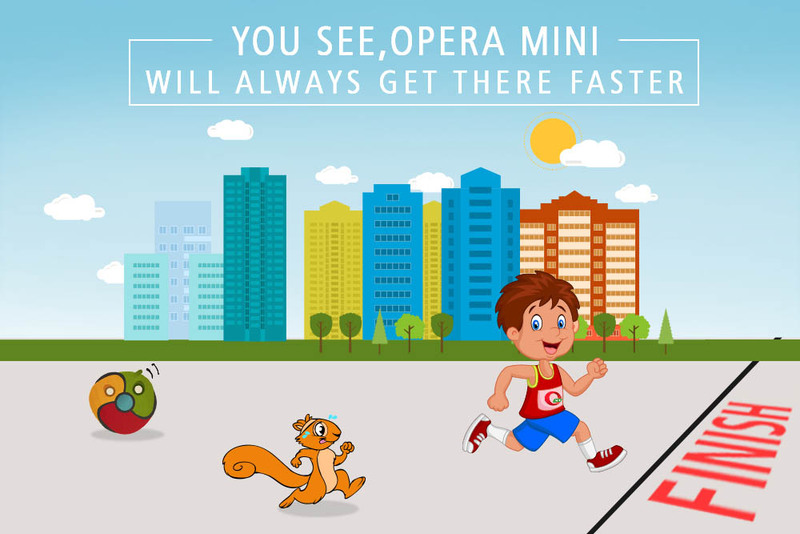 Opera Mini on extreme-savings mode is 64% faster than UC browser. It also uses 2 times less data than UC Browser. Faster than ever before and more pocket friendly, too. Beats Google Chrome! It’s a fact. 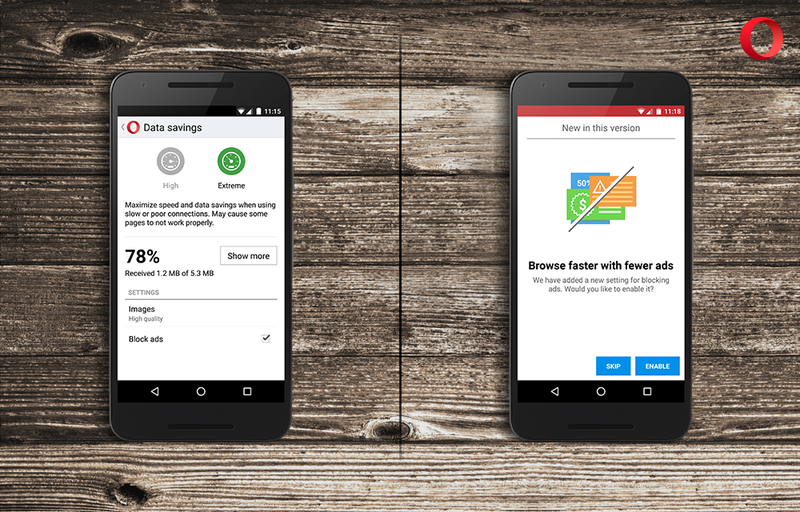 Compared to Google Chrome, Opera Mini in extreme-savings mode is 72% faster. It also uses 3.5 times less data. 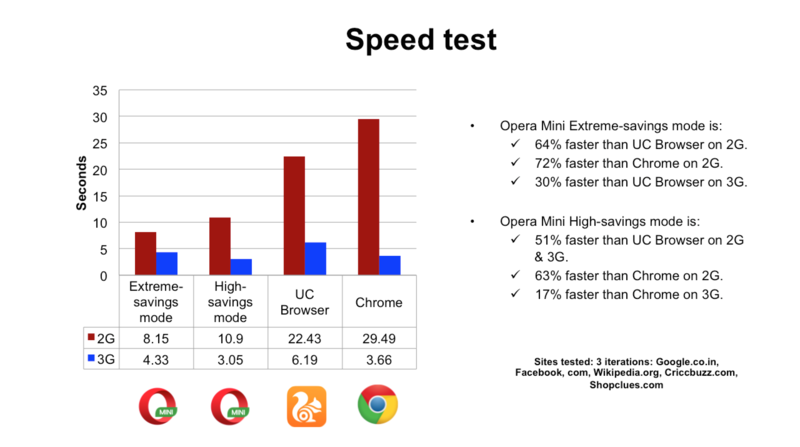 Tests show that websites like Facebook, Wikipedia, Shopclues load significantly faster in Opera Mini than on any other browser. 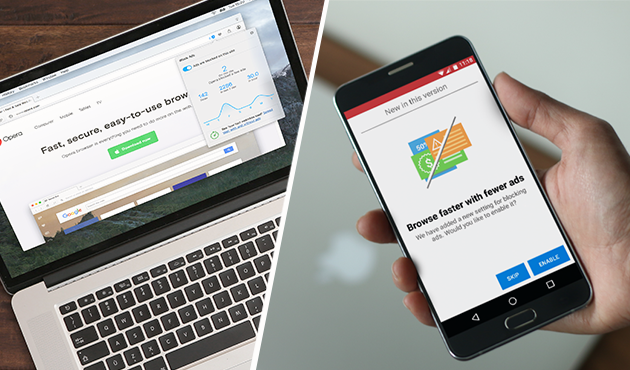 Get rid of those annoying ads, make webpages lighter, save more data and build the fastest browser for you. This is the core mantra behind our latest version of Opera Mini with ad blocker. You not only get to choose what you want to see by blocking ads that take over your entire mobile screen, but you can also gain up to 14% additional data savings in the process. 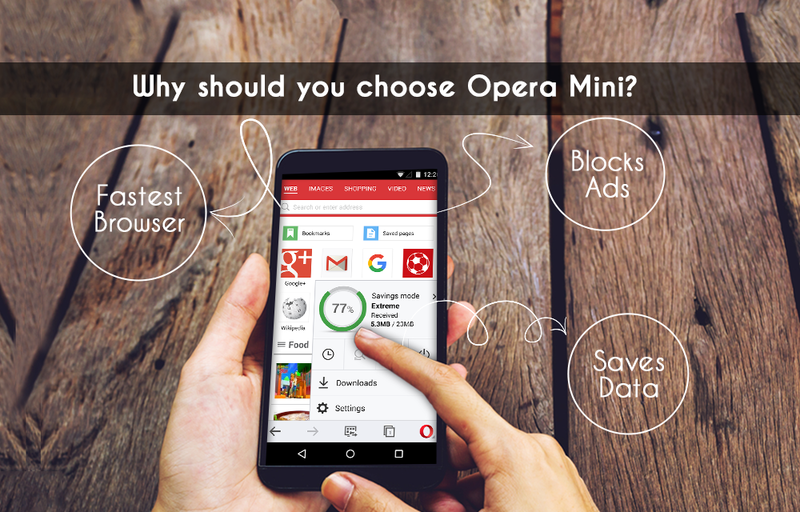 Already browsing with Opera Mini? Share your experience by commenting below. We are also on Twitter.